Home » Startup Hire • Startup Tips » How Do You Conduct Onboarding for New Customers? 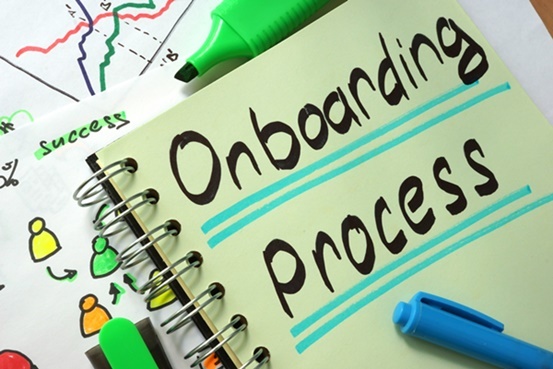 How Do You Conduct Onboarding for New Customers? We often hear about onboarding new hires during their initial period of joining a company, but how about onboarding customers? Is it really needed? Unfortunately, the answer is yes. How your team manages new clients onboarding will determine, whether they will be loyal to your product and service or choose to never come back after a visit instead. As a growing startup, you might have been brewing your product or service for months before you officially launch them into the market. Eventually your first customer comes up and shows great interest in the products that you offer. All you have to do now, is to figure out how to help them get the most of your services. First impression matters. And it applies the same with every customer. If they receive a pleasant experience during their first encounter with your product or brand, chances are, they will come back and grow to be a loyal customer in the long run. On the contrary, if you fail to carry out smooth customer onboarding, they will not likely be engaged with your service. Upon your first interaction with the customers, make sure to provide the warmest welcome to them. Just like a face-to-face meeting, you need to showcase hospitality even when it comes to online products and services. You should personalise customer’s welcome to encourage them to dig your products deeper. In general, customers might know what your products offer. The question is, do they know how to use it properly? This is your job in the process of customer onboarding to tell them about the features, advantages, and the ease of your product. You can create a video or an interactive ‘click on’ information that shows exactly how customers should use certain functions. Do not leave your customers all alone once they get in touch with your services. Customer service plays an integral role to help customers solve problems when they are stuck. This will help them gain enjoyable experience with your service. Provide assistance when needed. Either by embedding an additional live chat feature or through old-fashioned email and phone calls, make sure that customers can reach your team easily. Everyone wants to feel special, including your customers. Make them feel special by customising their experience using data analytics. You should demonstrate that you recognise your customers by providing information, data, and function that they need at the moment. Data analytics will look at the pattern of their behaviour when using your service, so you can provide a unique experience to them. Every new customer wants to know if they have come to the right system before relying on it. If you have a successful client previously, you can share their success stories and testimonials on your company/enterprise website. This will effectively demonstrate that you keep a track record of worthy performance and ensure customer satisfaction at all times. While onboarding customers is a crucial effort to bring them together and build your brand, you need to change your perspective about this process. Instead of preventing customer attrition, the main purpose of customer onboarding should be to ensure that customers get what they are looking for conveniently and in the process, realise business returns. It’s only when the customers get what they want, they will be engaged with your startup. And eventually, customer retention comes along.